Yeh Hai Judgement Hanged Till Deathis a 2016 Hindi crime drama film directed by Mann Kumar and produced by MAAJ Production. The film stars Nishant Kumar, Neetu Wadhwa, Gulshan Tushir. Music for the film is composed by Mahesh Rakesh, with all the lyrics penned by Rakesh Kharvi. 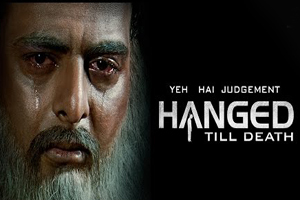 Here is the link of all the songs lyrics and videos of Yeh Hai Judgement Hanged Till Death.